Every girl goes through these phases: “What am I going to wear today?” “I don’t have enough clothes, I hate my life!” “I need to revamp my wardrobe ASAP”. A simple solution to these problems is-DENIM JACKET! Anything that’s denim is aesthetic. 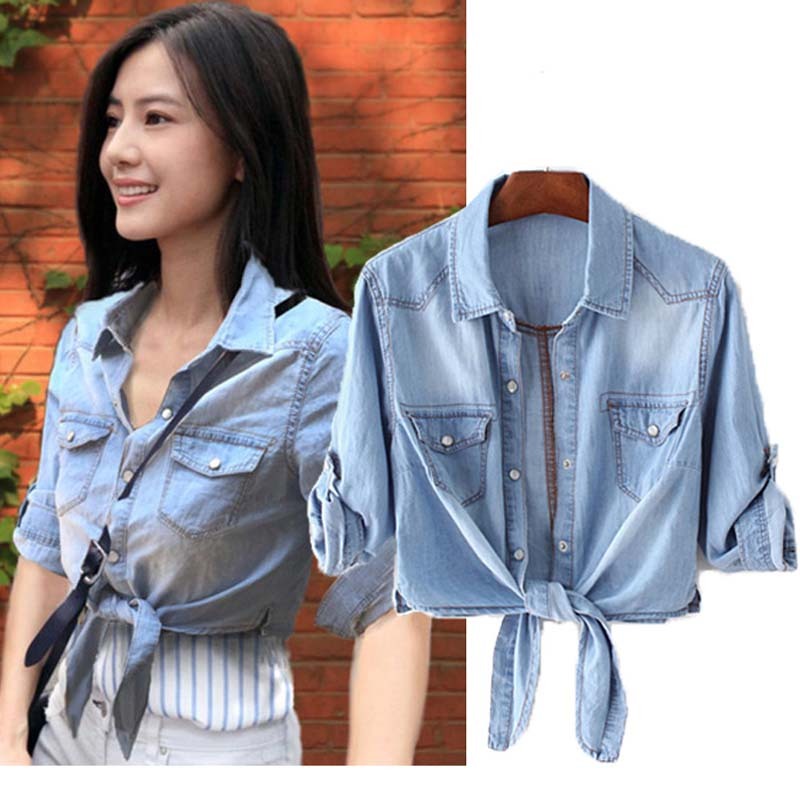 And when it comes to denim jacket you can pair it with almost every outfit that you wear. Denim jackets last long because of the durable material. You can wear it during cozy spring or during winter to keep you warm or even during early summer. A perfect alternative to heavy woolen sweaters or leather jackets during winter and an absolute cool option during spring or summer. 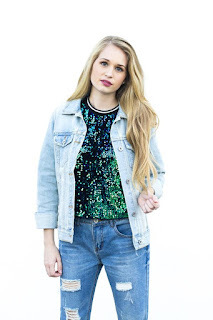 Put on a denim jacket and instantly accentuate your look. 1. Not in a mood to wear shrug? 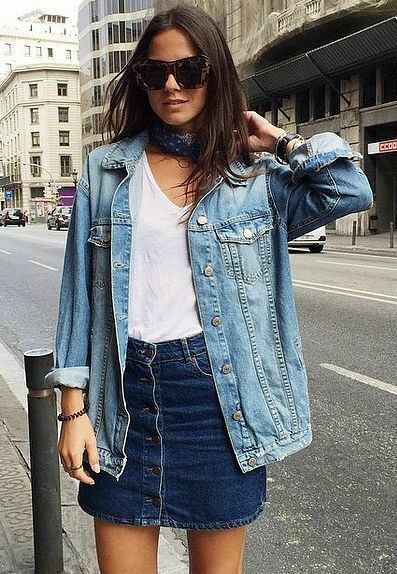 Ditch the shrug and put on the denim jacket. 2. Not ready to go sleeveless? Put on your favorite denim jacket and you’re good to go. 3. 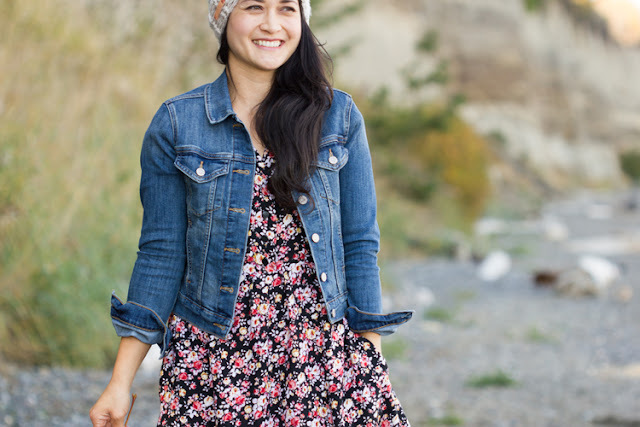 Denim jacket with a floral dress can never go wrong. Floral dresses never go out of style and when paired with a denim jacket, it can add an oomph factor to your look. 4. Not sure what you’re going to wear for a fun night at your pal’s birthday? 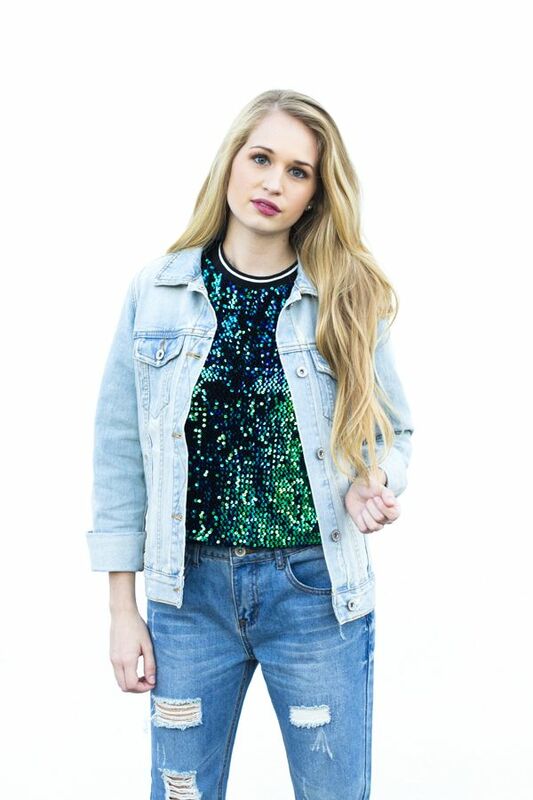 Worry not, simply put your favorite red lipstick on and a sequin top or a dress with a denim jacket, it’d be perfect! 5. Up for a spring picnic with your family or friends? You can wear a maxi dress along with a cropped denim jacket. It’ll make you look uber chic. 6. 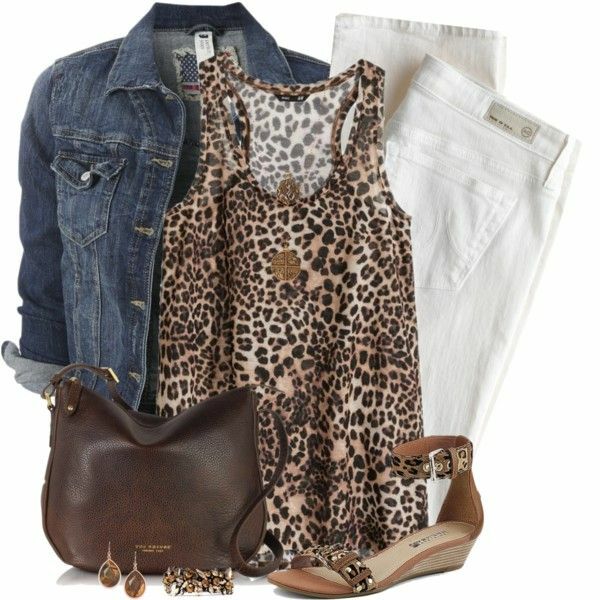 Leopard Print and denim can make you look edgy. Totally out of the box! 7. So you think there’s only one way to wear a denim jacket? Well, we beg to differ. You can knot the lower ends of your jacket and try wearing it like a blouse. 9. A bralette with a denim jacket can make you look adorable. 10. You can’t say “NO” to stripes, can you? So how about denim jacket over a striped tee for a date or a brunch. 11. Tired of wearing jeans and trousers? Take a break and switch to a denim or a floral skirt along with your denim jacket. 12. Who said block colored dresses are boring? Pep up and wear it with a denim jacket. 13. 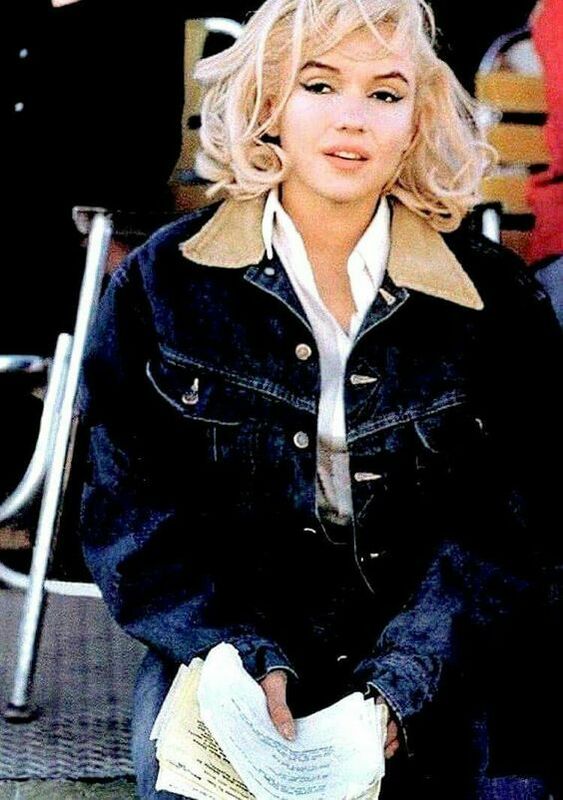 Marilyn Monroe back in 1950s taught us how to embrace a denim jacket.